Today marks this year's final observance of Hanukkah, the Jewish Festival of Lights. 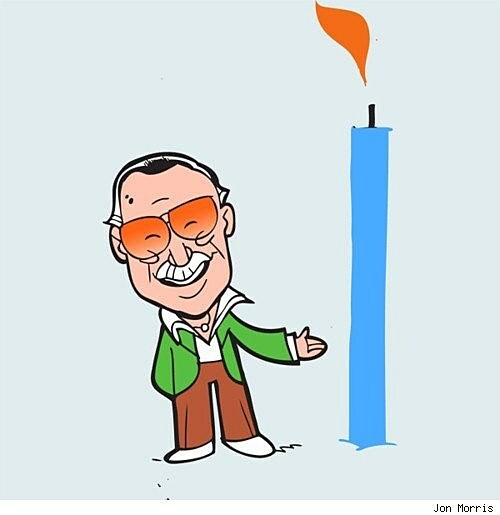 In honor of the holiday, cartoonist Jon Morris created an illustration of one of comics' Jewish characters for each night of Hanukkah, including some superheroes and cartoonified real-life legends, to create a cool and clever comic book menorah. The creator of the Cornered, DC Fifty-Too and Marvel Universe Too blogs is an artist frequently spotlightedhere on ComicsAlliance, but Morris may have outdone himself with this lovely holiday series. Note how each character is perfectly expressed not just in how Morris draws them, but in the way they interact with their candles i.e. Batwoman perching on hers or Arthur worrying about dropping his. 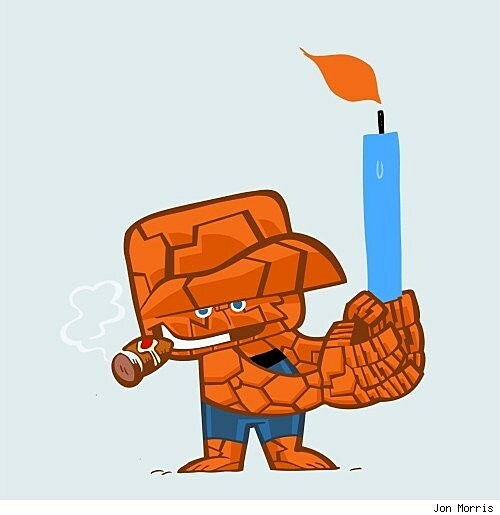 Starting us off, it's arguably the most high-profile Jewish superhero in comics, Ben Grimm - the Ever-Lovin' Blue Eyed THING! 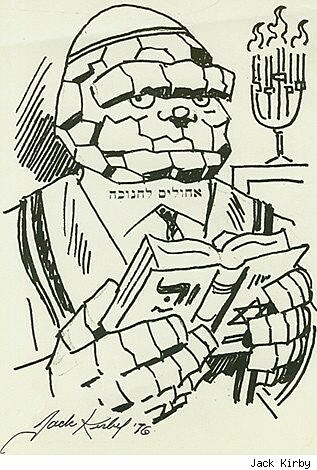 Even though he debuted in 1961, it wasn't until 2002 that Ben was officially revealed in canon to be Jewish, although creator Jack Kirby had always intended for and thought of Grimm as Jewish (for instance, see this great sketch by Kirby dated 1976). Ragman has an interesting history as a Jewish superhero inasmuch as he started off Irish (not that he couldn't be both, mind you). Still, in his original Seventies' incarnation, Rory Regan was clearly scripted to be of Irish descent, but the broody, vibrant illustrations of Joe Kubert and the Redondo Studios seemed to summon a very Jewish feel to the character and his environments, and readers took to assuming that Ragman was Jewish. 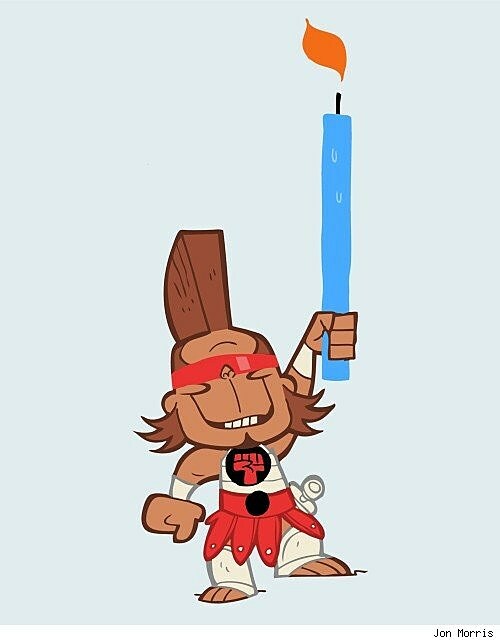 When the character was rebooted and relaunched in 1992, he was made explicitly Jewish with strong ties to Jewish folklore. The most unusual Jewish superhero, alien Thune warrior Judah "The Hammer" Maccabee from Mike Baron's and Steve Rude's superb classic indy sci-fi book NEXUS. Accountant-turned-superhero and long-suffering sidekick to the boisterous TICK. Arthur is one of the most refreshing characters in comics, the perfect accompaniment to the Tick's bombast and buffoonery - he's just a quiet, unassuming, good-hearted guy who craves a little adventure and crime-fighting, like any nine-to-five joe. 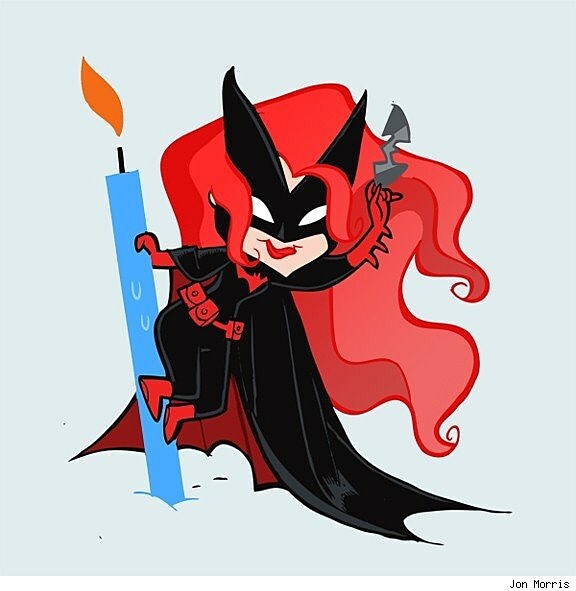 Batwoman (Kate Kane) is among the newest Jewish superheroes to hit the stands, and I believe - and I may be mistaken here, let me know if I am - currently the only Jewish superhero to be headlining her own title at either of the Big Two companies. 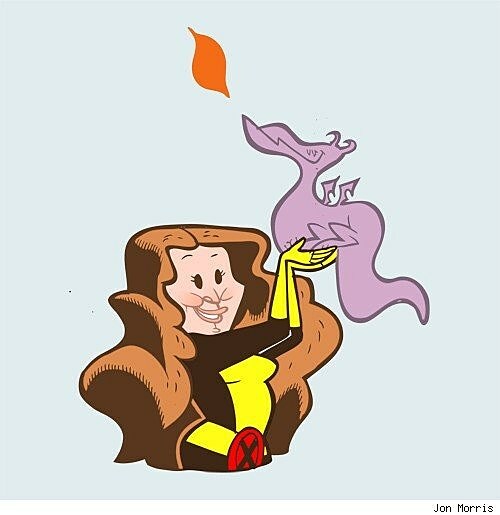 Introduced in 1980 as part of Chris Claremont's and John Byrne's groundbreaking multi-ethnic X-Men, Kitty may be the first long-running Jewish Marvel superhero to actually have been acknowledged as Jewish from the start. Stan Lee isn't a comic book superhero! Well, sort of - he's certainly been IN enough comics as a character, alongside a passel of Marvel's famous Bullpen - even once as an alternate version of the Fantasic Four's own Mister Fantastic. Of course, as a writer, editor and - possibly most importantly - as a relentless promoter of the Marvel brand, Stan Lee is more than slightly responsible for the prevalence of superhero comics as indelible mainstays of popular culture. 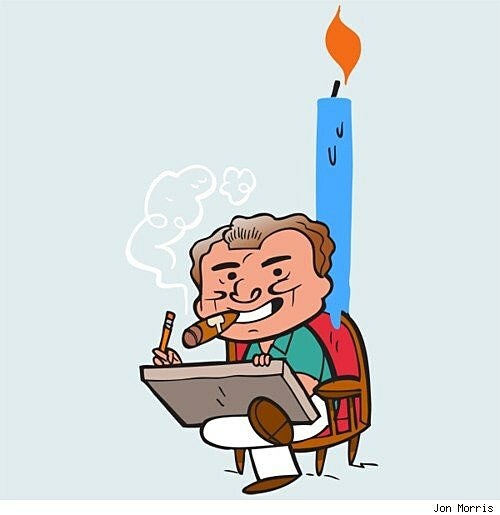 The greatest Jewish comic book hero of them all, Jack "King" Kirby! 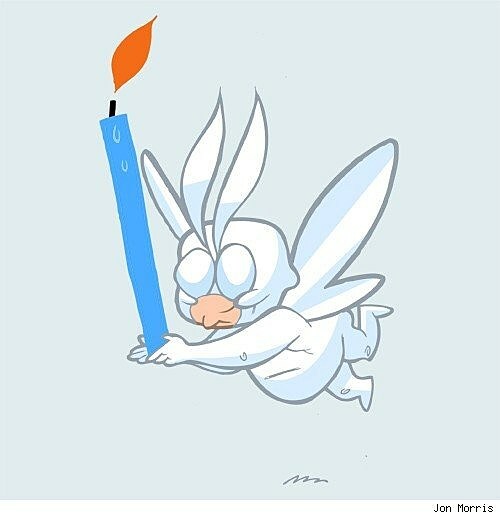 Happy Hanukkah, everybody! 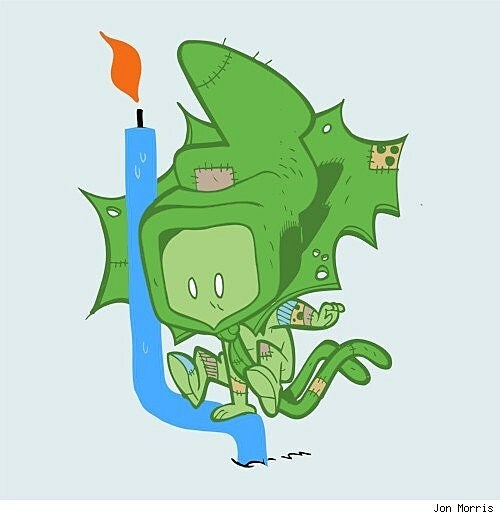 Keep up with all of Jon Morris' work via his website and Tumblr blog.